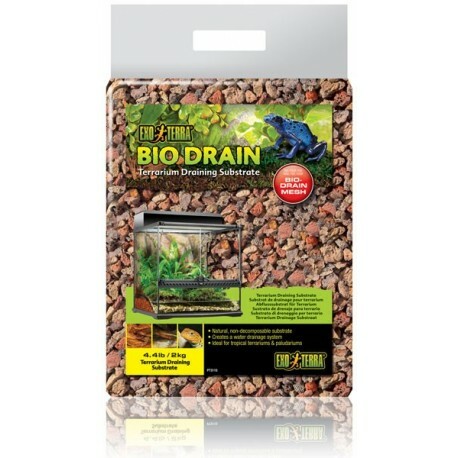 Exo Terra BioDrain Terrarium Draining Substrate is a natural, non-organic substrate that allows excellent drainage of the terrarium. It will not rot or decompose like other natural substrates. 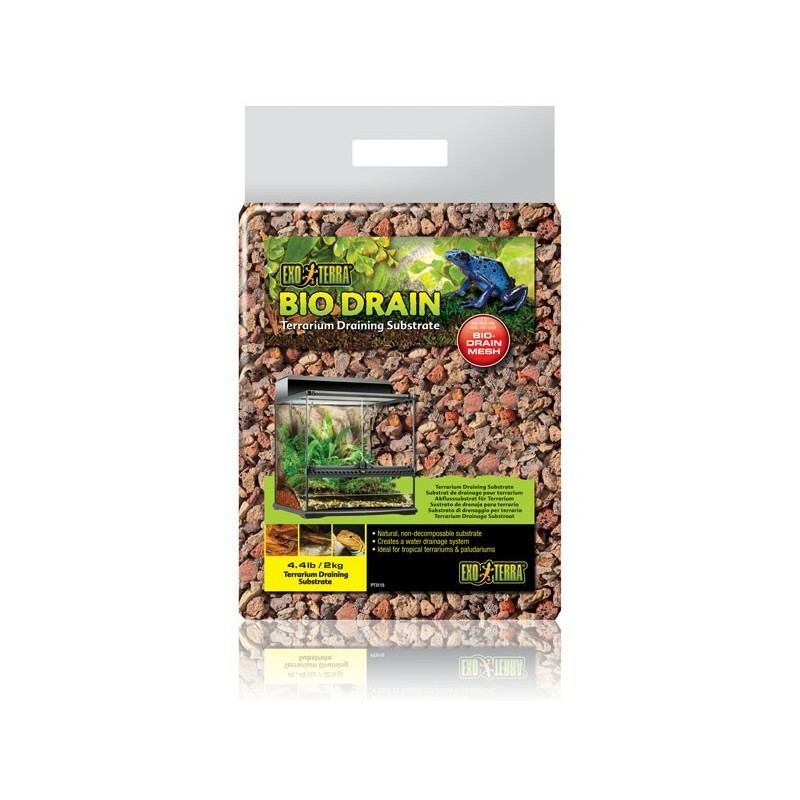 The optional BioDrain Terrarium Draining Mesh will keep the BioDrain Terrarium Draining Substrate separated from the decorative terrarium top-layer substrate and prevent the different substrates from mixing and contaminating the water. 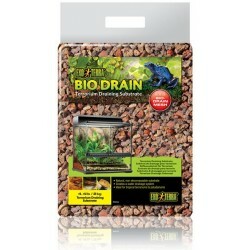 The BioDrain Terrarium Draining Substrate will function as a biological filtration system. 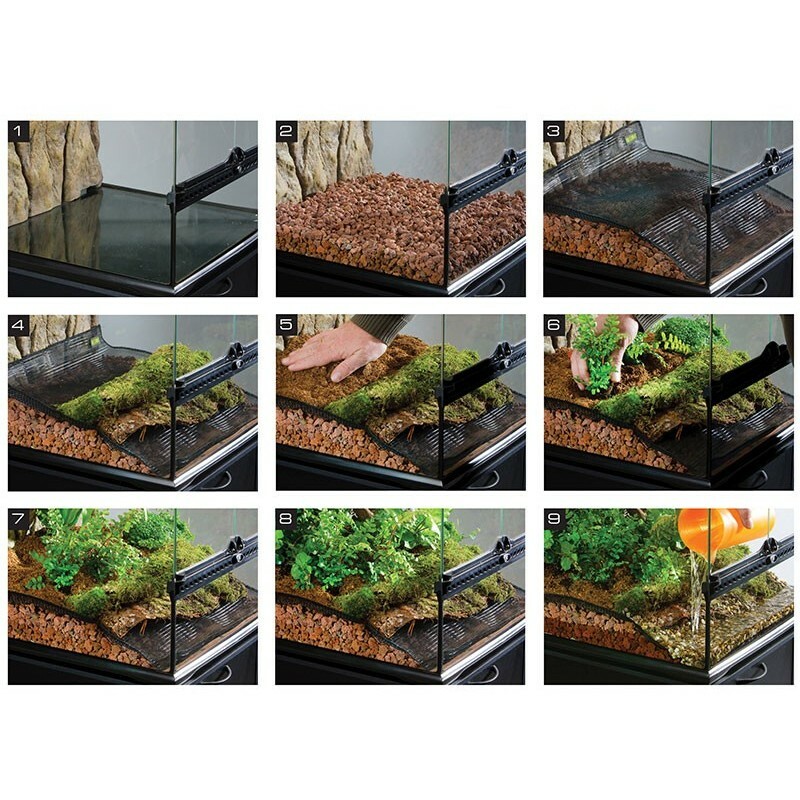 The clean terrarium water can then be circulated in waterfalls, the Exo Terra Rain System or Dripping Plants. Use Bio Clean (formally known as Biotize) to speed up biological filtration capabilities.